A mile up a steep, tree-lined hill sits the Renewable and Appropriate Energy Laboratory in Berkeley, California. 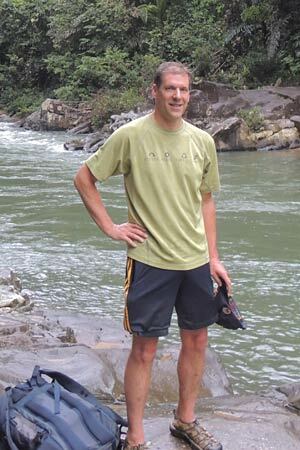 It's early morning and Daniel Kammen, RAEL's director, founder, and one of the world's foremost experts on renewable energy, has arrived in jeans, sandals and a green T-shirt that reads "Reduce, Reuse, Recycle, Run." Kammen has to run. To avoid the most drastic effects of climate change, scientists generally agree that the world has only a few decades to stabilize atmospheric carbon-dioxide concentrations at 450 parts-per-million. Meanwhile, 1.5 billion people on the globe lack access to electricity. Providing reliable, clean energy to the poor while accelerating green power investments in the developed world is a task for Atlas. "The problem is the clock," said Kammen, an AAAS fellow. "We have four decades to make a dramatic change. We are way behind." Kammen, a professor in UC Berkeley's Energy and Resources Group, Goldman School of Public Policy, and Department of Nuclear Engineering, speaks and moves quickly. He is off to the Arctic that weekend for a climate-change conference; then Malaysian Borneo, where he and his students created a plan for the Sabah province to defeat a proposed coal-fired power plant in favor of renewable energy, backed up with natural-gas power. After that, catch him if you can in Brazil for the U.N.'s Rio+20 Earth Summit. RAEL, which follows Kammen's all-over-the-map focus, is one of the few places of its kind in the world. Projects, which span the globe, take an interdisciplinary approach to energy, combining science, engineering, and economics to create tools and models of "green" technologies or policies — such as solar photovoltaics, wind power, electric cars, energy efficiency. While innovations are important, the lab often takes a "systems science" approach. Studies can be small-scale — for instance using biomass, wind power and energy efficiency in a Nicaraguan fishing village — or as large as reassessing the electricity grids of entire countries. There's plenty of data-crunching at RAEL, "but it also has a little bit of the Indiana-Jones quality to get out there and make a difference," Kammen said. Considering the enormity of climate change, the lab has a skeleton crew: Kammen, plus 20 students and post-doctoral fellows. "There's only so much one person can do," Kammen acknowledged, "but if you have 50 students who have gone out, your impact is more than 50 times bigger." A physicist by training — Cornell then Harvard — Kammen began to explore the role of energy in developing economies while a Caltech postdoc, spending summers in the mid-1980s in Nicaragua, where he looked at solar ovens and wind energy. He's published 250 journal articles, several books and a shared a Nobel Peace Prize for his work on the U.N. Intergovernmental Panel on Climate Change. He also served as the first "Clean Energy Czar" for the World Bank Group and once did the electrical wiring for a Grateful Dead concert. What's not on Kammen's website, however, is how he remains optimistic in a world that has lacked the cooperation and will to cap carbon emissions. Arne Jacobson, Kammen's first Ph.D student at Berkeley and now director of the Schatz Energy Research Center at Humboldt State University, recalls Kammen was always an optimist but a dose of realism doesn't hurt. "It's like sprinting up a steep hill" after playing soccer for hours, Jacobson explained. "If you looked up" at the hill "you would stop. If you looked down and just kept your feet moving, you would make it." "I'm not interested in [a] world where we don't solve the joint problems of reliable energy access for the poor and human-induced climate change," Kammen said. "I don't want to live there and I don't want my kids to live there." One tool from RAEL that provides reason for optimism is the SWITCH model, an acronym for Solar, Wind, Hydro and Conventional generators and Transmission. SWITCH looks at climate impacts and renewable energy deployment. Kammen led a team of eight students to develop a model for the entire Western North America electrical grid. The work took several years and involved analyzing a vast dataset — thousands of power plants, transmission lines, fuel price estimates and so on. Politicians are often reluctant to deploy renewable energy because of perceived costs, but the SWITCH study, published in April, found that achieving the 450-ppm, "low-carbon" goal in the West could be done with existing technologies and a price on carbon — and at a modest 20 percent electricity price increase by 2030 over a business-as-usual case. Students in the lab are now developing SWITCH models of India, China, East Africa and Chile, giving these countries a crucial platform in the race against climate change. "The feet are moving," Kammen said.